What an awesome name to call your art work! 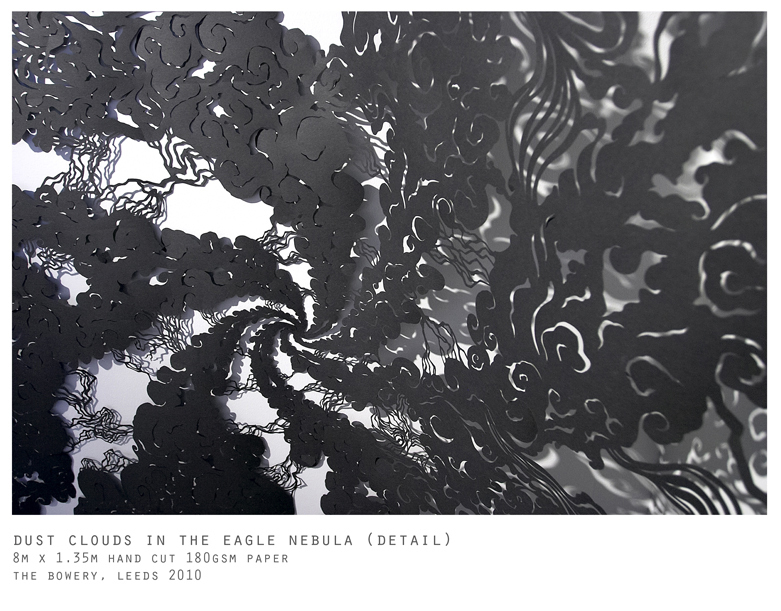 ‘Dust Clouds In The Eagle Nebula’ is an 8 X 1.35 meter piece by artist/illusionist Andy Singleton. 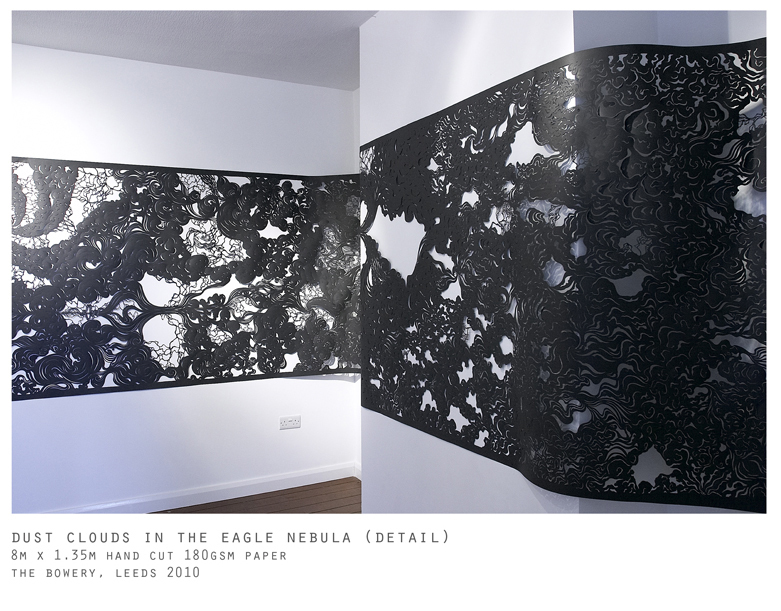 Every detail has been hand cut into 180GSM paper. 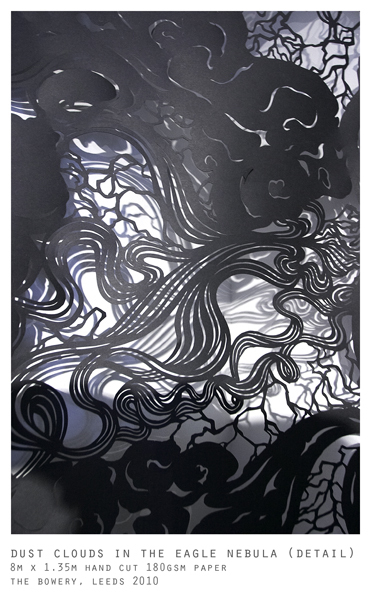 His work is an exploration of the natural and manmade world through intricate paper cuttings and hand drawn illustrations. By researching the Eagle Nebula, it is made easy to see where Singleton’s inspiration has come from. 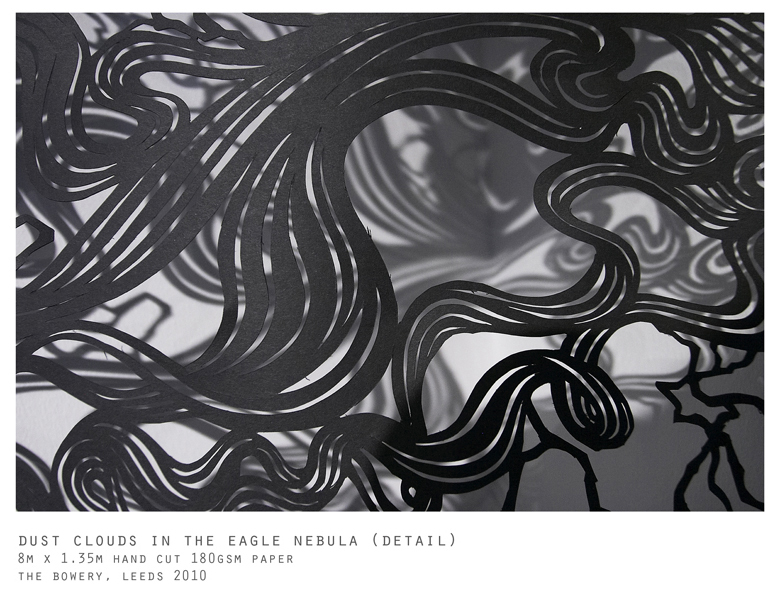 Imagery of the formation of stars and the general mesmerizing swirls of gas and dust are reflected directly in this piece. 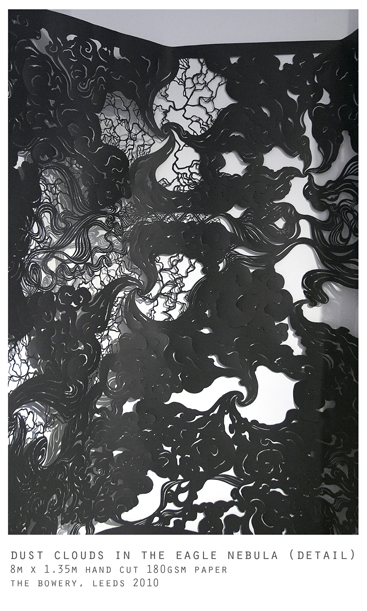 The fact that the patterns have been created from one solid sheet of black paper, I think, emphasizes the detail and intricacies, making the piece continuous. Despite the static patterns, the illusion created is that of movement and flow as the single colour makes it difficult to distinguish the beginning of one line from the end of another therefore also bringing forward the concept of the random movement of the particles in the nebula. More art work by Andy Singleton can be found on his website here. I also highly recommend visiting his Flickr account here.